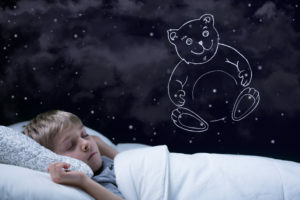 It’s estimated anywhere from 15 to 33 percent of children grind their teeth at night, however, many parents are unaware their children are doing so. Children often grind their teeth when their baby teeth begin to emerge or when their permanent teeth begin to come in. Most children will outgrow teeth grinding, but if they don’t they will require intervention to prevent tooth damage and complications into adulthood. As a pediatric dentist in Birmingham, we offer intervention services to help children stop grinding their teeth at night. Is my child grinding teeth at night? Most parents are unaware their child is grinding their teeth until they hear the grinding, which is known as bruxism. When a child suffers from bruxism, you’ll hear a harsh sound that’s clear as day. While two out of ten children grind their teeth at night, there are a variety of reasons the grinding may be occurring. In some cases, children grind their teeth due to alignment issues, while others do it out of habit to relieve pain caused from an underlying condition or due to the emerging of baby or adult teeth. Children who have a great deal of stress often grind their teeth, as well as clench their teeth. Although most children do outgrow bruxism, you need to take immediate action to stop the grinding before damage occurs. What complications does teeth grinding cause? In addition to damage to enamel and an increased risk for chipped teeth, children who grind their teeth may also experience jaw and ear pain and headaches. When left untreated, the grinding can lead to the development of temporomandibular joint disease (TMJ) when they enter adulthood. TMJ causes a variety of complications, including pain and locking of the jaw. How can I stop tooth grinding? There are many simple things you can do at home to try to detour teeth grinding, such as decreasing stress levels. Certain stretching exercises and massages can be used to help relax the muscles. In addition, keep your child hydrated because dehydration can lead to tooth grinding. When home treatments are ineffective, it’s time to consult your dentist. Your pediatric dentist will often recommend a mouth guard to prevent damage to the teeth. Your dentist will create a mouth guard that’s custom-fit to provide your child with comfort while they sleep. The mouth guard will be worn at night to reduce the impact the grinding has on the teeth, decreasing the destruction of enamel and the risk for chipped teeth. In addition, the mouth guard will help decrease the stress of the grinding, reducing jaw pain and discomfort caused by the grinding. Dr. Angelica Rohner Pediatric Dentistry offers treatment for tooth grinding and mouth guards to reduce the impact of the grinding. 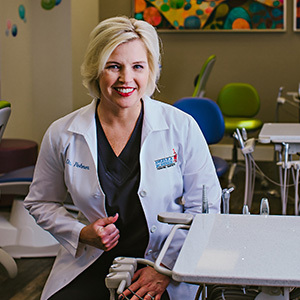 As a pediatric dentist, she has the gentle touch and calming demeanor to make your child feel at ease for a stress-free visit. With a high level of compassion, she’ll provide the effective and comprehensive treatment your child needs to resolve tooth grinding.